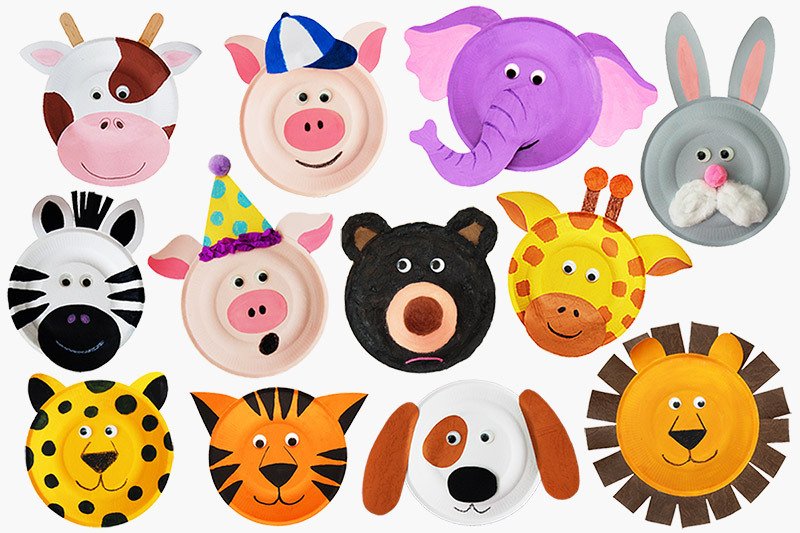 Grab some spare paper plates and make them into elephants, zebras, giraffes, tigers, leopards, lions, dogs, cats, rabbits, cows, pigs, reindeer, and more animals. 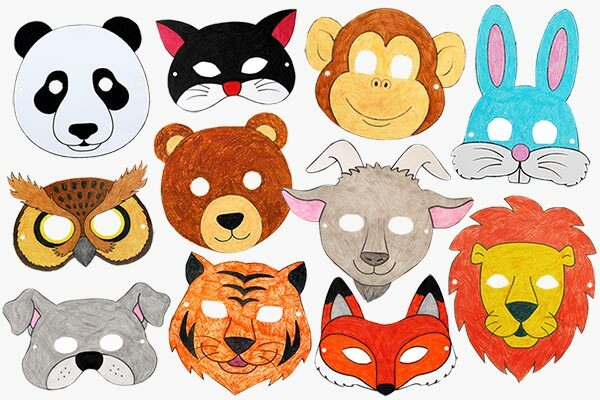 1Choose an animal to make. Think about an animal you want to make. 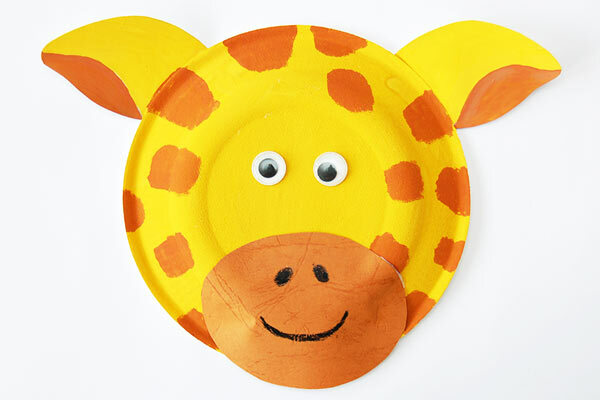 Imagine the paper plate as the animal's head. 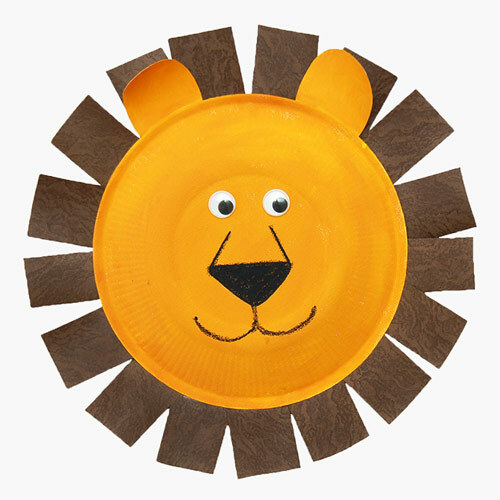 What do you need to decorate the paper plate with to make it look like the animal you have in mind? 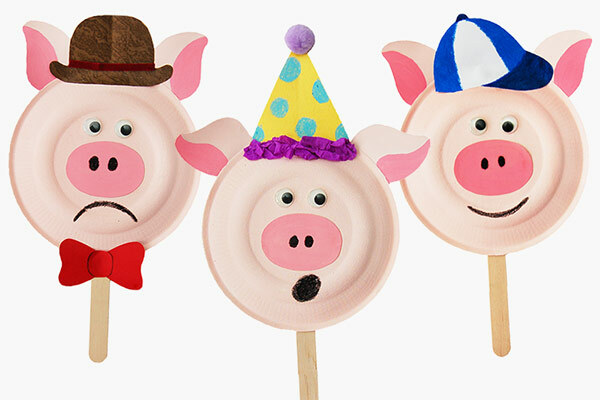 Cut out a pair of ears out of any color of construction paper or cardboard. 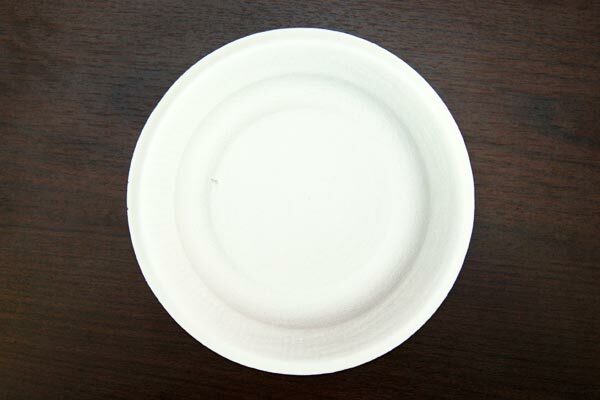 Place your paper plate front side up. 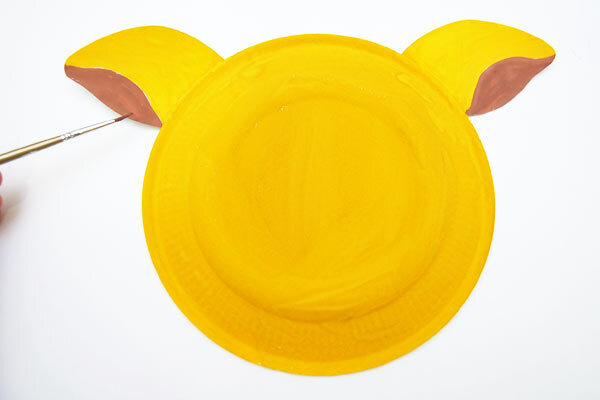 Glue the pair of ears onto the top portion of the plate. 4Cut out other head parts. Some animals will need additional head parts. An elephant for instance, needs a trunk. 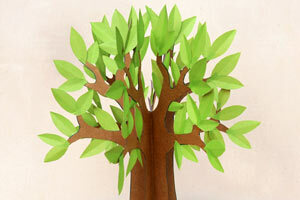 Cut it out from construction paper or cardboard. 5Glue the other head parts. After gluing the ears, flip the paper plate so that the bottom side is facing up. 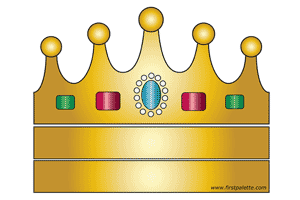 Glue the other head parts onto the plate. 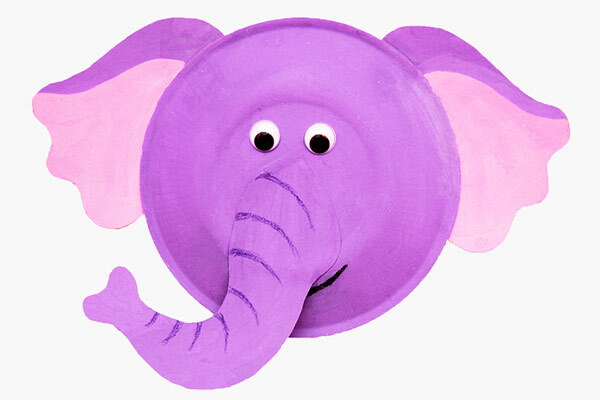 The elephant's trunk needs to be glued at the center of the paper plate. 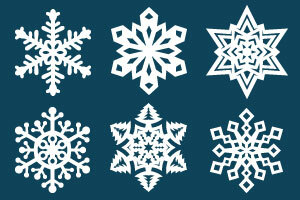 Remember to position your paper plate with the bottom side facing up. The ears should be glued at the back. 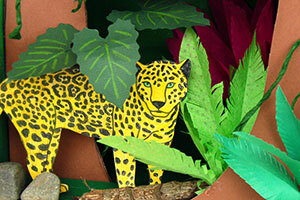 Paint your animal with tempera or poster paint. 7Add spots or other patterns. 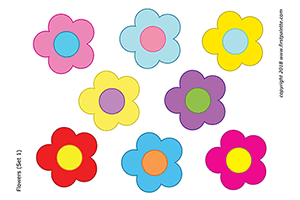 Create some spots, stripes, or patches, if your animal has them. 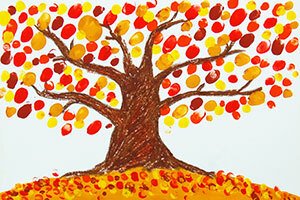 You can paint them using your fingers, some cotton buds, or a regular paint brush. 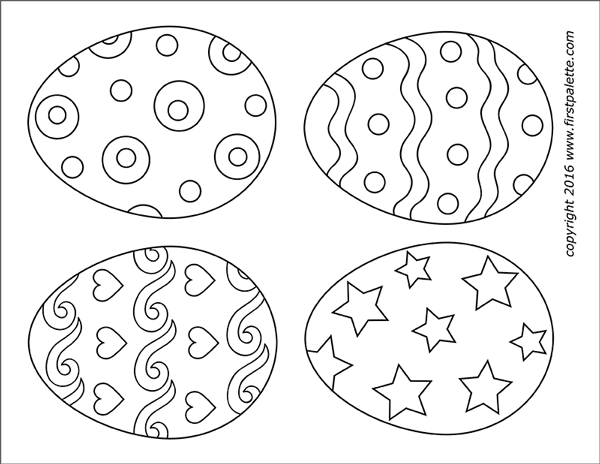 The patterns can also be drawn using crayons or permanent markers. 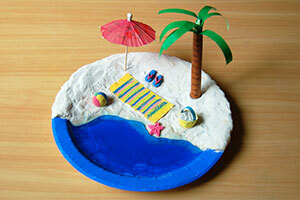 Another option is to cut out the spots and stripes out of paper and glue them onto the paper plate. 8Glue a pair of eyes. 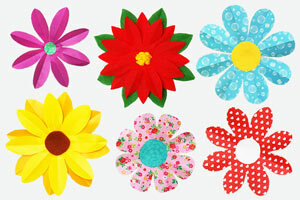 Glue a pair of wiggle eyes or or buttons to create the animal's eyes. 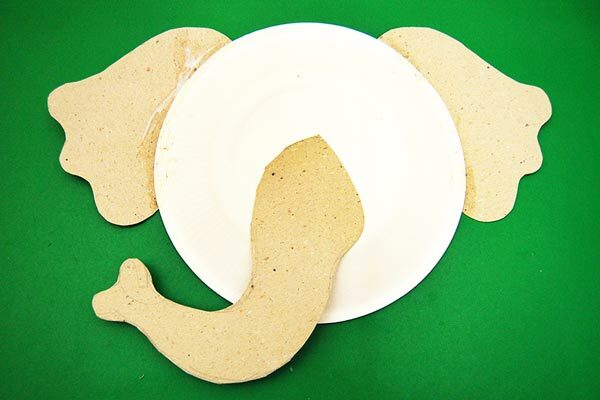 You can also cut out circles out of paper, craft foam, or felt to make the eyes. 9Draw a nose and mouth. 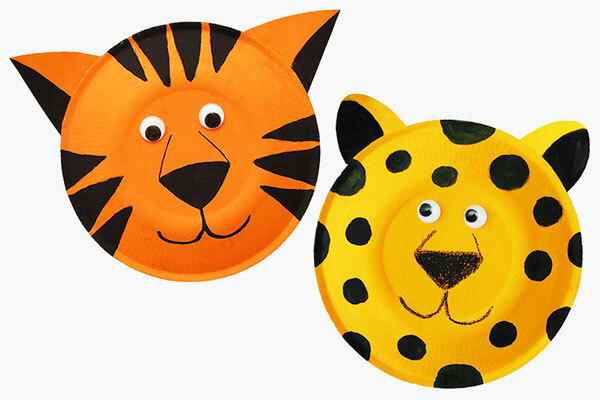 For most animals, like these cute leopard and tiger, you can draw the nose and mouth directly on the paper plate. Use a black permanent marker or crayon. Some animals like the giraffe, have a snout. To make a snout, cut out an oval shape from construction paper. Draw a pair of nostrils and a mouth on it. 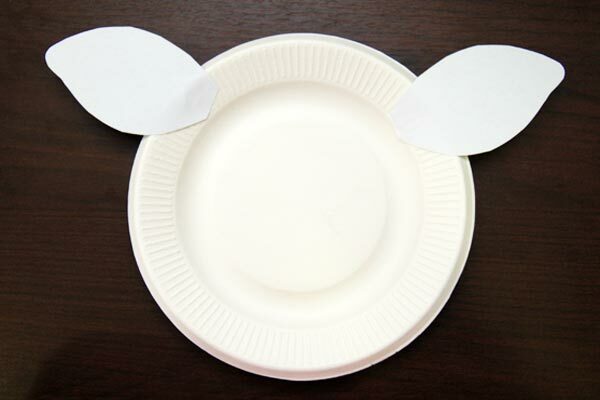 Glue the snout at the bottom portion of the paper plate. To make the animal's head a little less round, position the snout so that it protrudes a little bit from the bottom of the plate. You can do this for long-faced animals like giraffes, horses, cows, and goats. Create a pair of horns by cutting a craft stick in half. 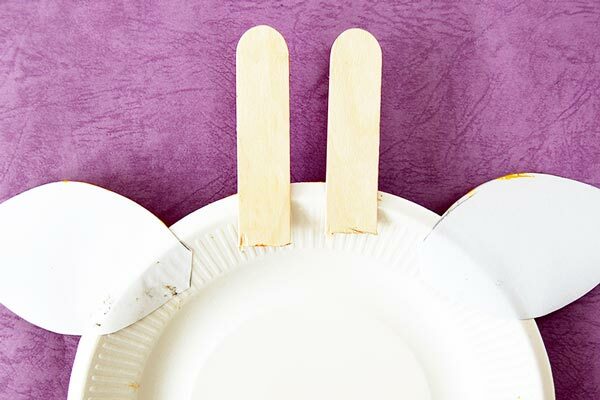 Glue the horns at the back of the paper plate. You can color or paint the horns if you like. Add more details if you like. My giraffe needs circles at the tips of the horns. 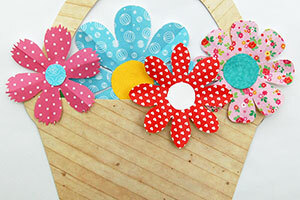 I cut them out from paper and glued them at the tips of the craft stick. 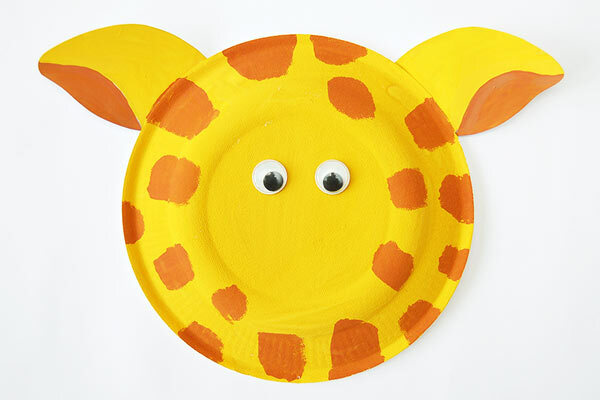 This giraffe illustrates the basic steps for making paper plate animals. 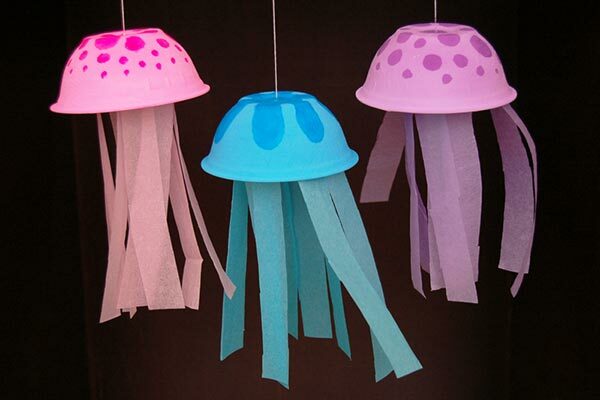 More ideas for making these animals are described in the section below. 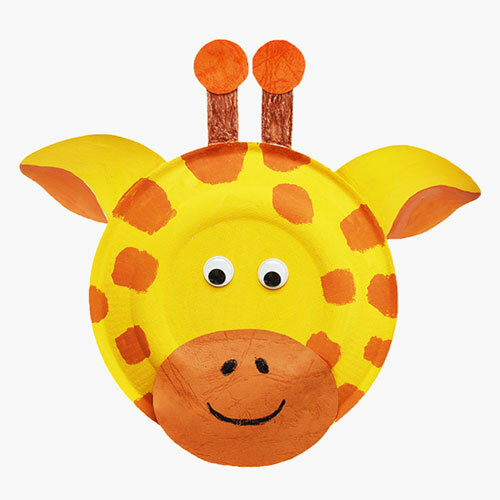 So far, we have made twelve paper plate animals, namely, a giraffe, an elephant, a tiger, a leopard, a lion, a zebra, a dog, a cow, a rabbit, a reindeer, piglets, and bears. Check them all out below. 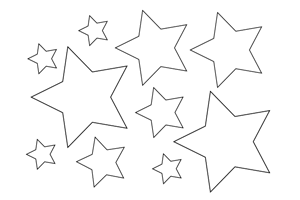 We described the variations we have done from the craft steps above. The important detail for making a lion is its mane. 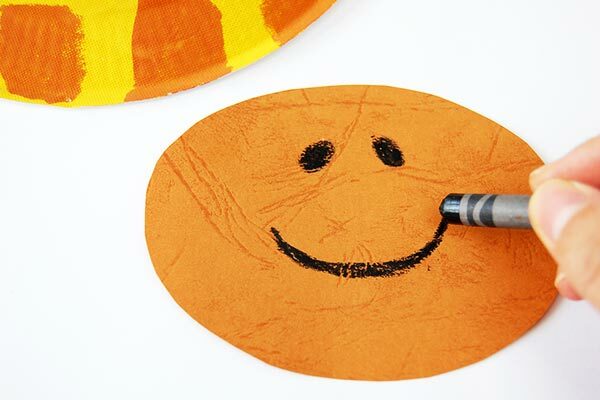 Cut out strips of dark brown or orange paper and glue them around the back edge of the paper plate. 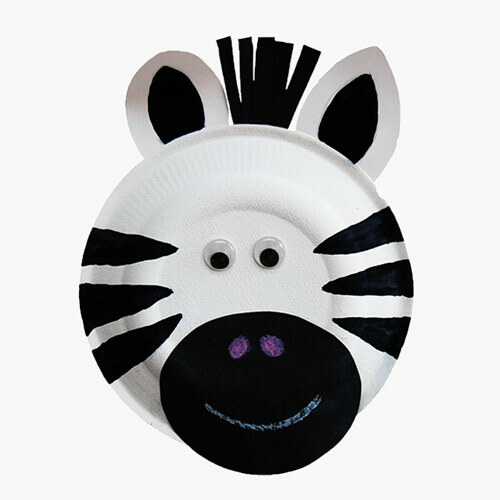 Create tufts of hair at the top of a zebra's head by cutting thin strips of black construction paper and gluing them at the back of the paper plate, in the area between the ears. 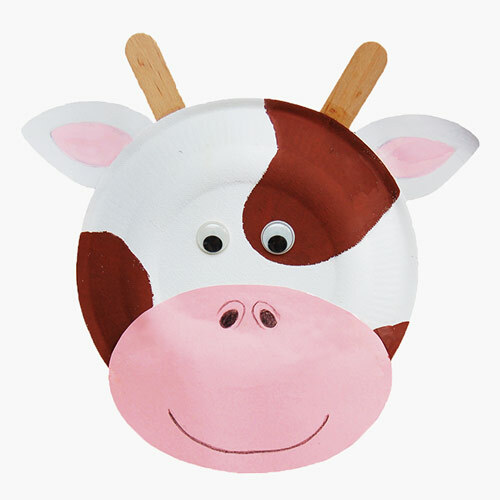 An extra large snout defines the look of this paper plate cow. You can also do this for other large animals like hippos and buffalos. As shown in Steps 4 and 5 above, a long trunk out of cardboard or construction paper is attached to the paper plate prior to painting. 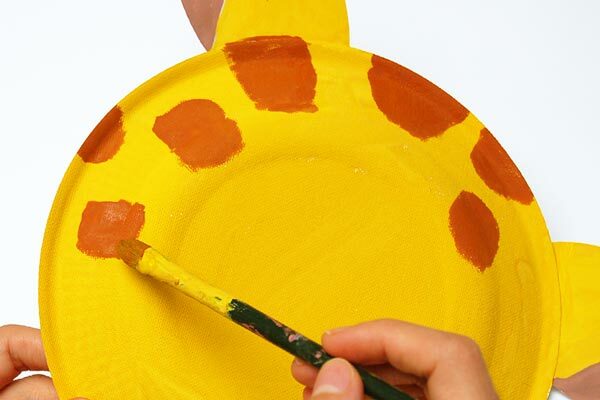 Paint the entire paper plate, including both sides of the trunk. After the paint dries, draw lines on the entire length of the elephant's trunk using crayons, permanent markers or poster paint. 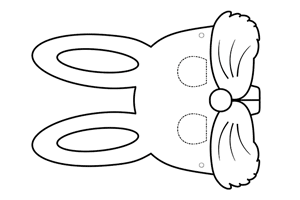 Draw a mouth on the paper plate, a half-inch or so below the trunk. 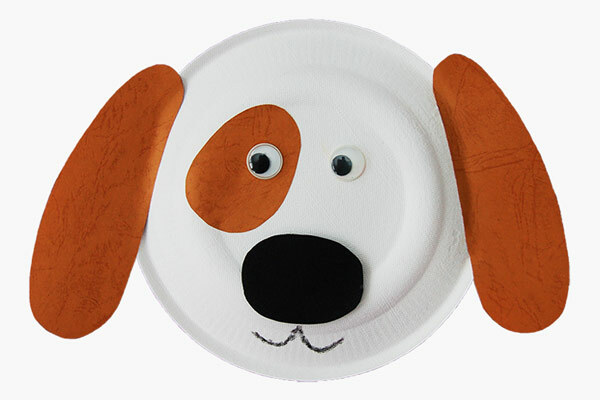 If you don't feel like doing a messy craft, you can skip the painting step altogether with this adorable paper plate pup. Cut out a pair of long brown paper ears and an oval paper eye patch. 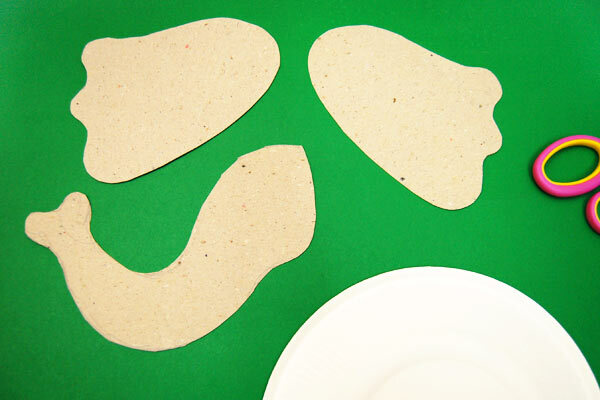 Cut out an oval nose out of craft foam or felt for a three-dimensional feel. Glue all the cut-outs onto the plate. 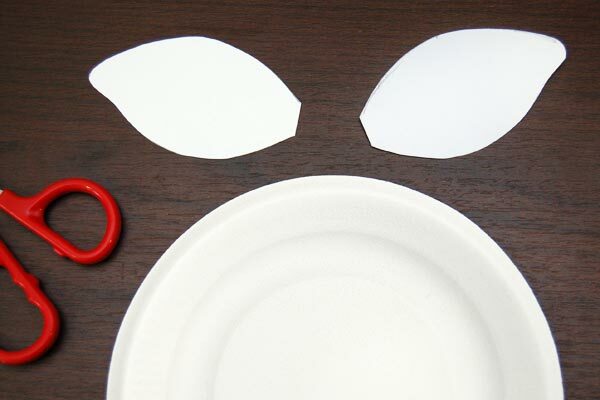 Add a pair of wiggle eyes and draw a mouth to complete your paper plate dog. A fluffy snout was made for this bunny by gluing some cotton below an equally fluffy pompom nose. 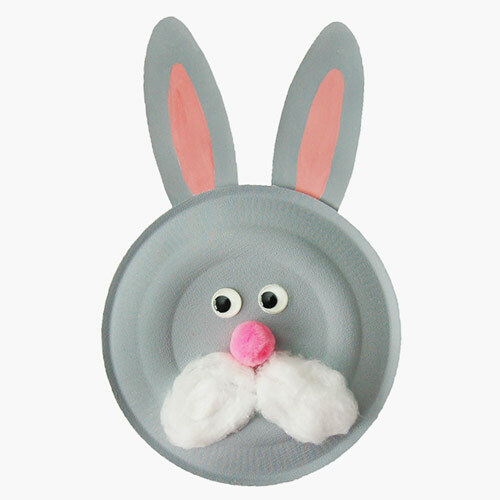 Paper plate animals are great for storytelling or role playing. 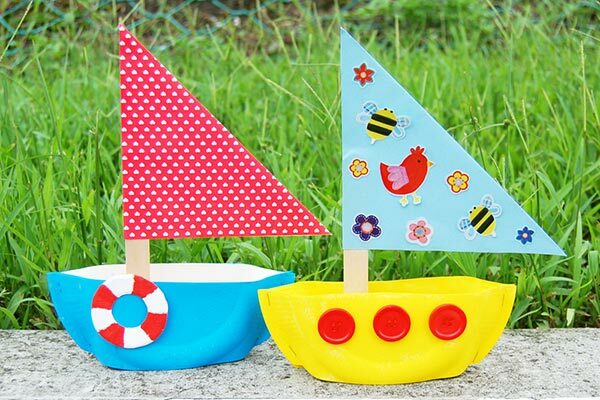 Make a handle by gluing a wooden dowel or a craft stick at the back of the paper plate. Give the animals lots of character by drawing expressive mouths, eyebrows or even distinct facial features like freckles or mustaches. Hats, bows, spectacles, and other wearables can further give them character. 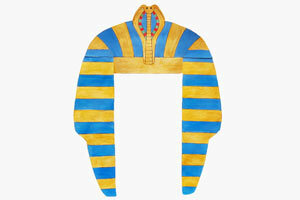 If you want to wear them as masks, simply cut out holes for the eyes.